Music Library Beta Space Available for Group Study! What is the Beta-Space Study Room? The Music Library Beta Space Study Room is located in the Music Library in the Moores School of Music Building on the second floor. 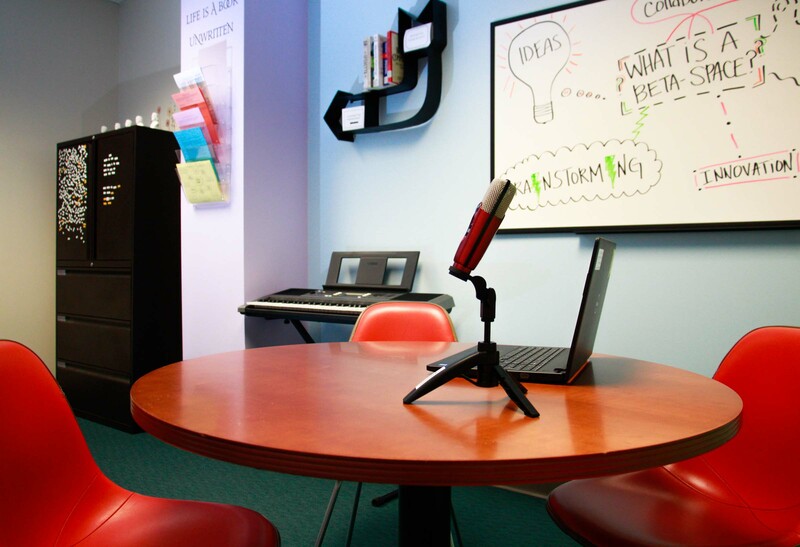 The room provides a multi-purpose study space geared towards performing arts students based on the Beta space model. 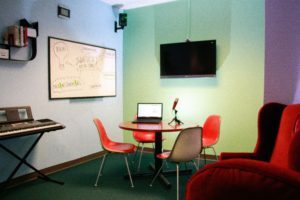 A Beta Space is similar to a Makerspace, but with more emphasis on creativity and inspiration. The Beta Space Study Room is a flexible learning environment with a large TV screen and speakers, whiteboard, piano keyboard, recording microphone, and creative tools. Students of ALL majors are encouraged to use the Beta Space Study Room! 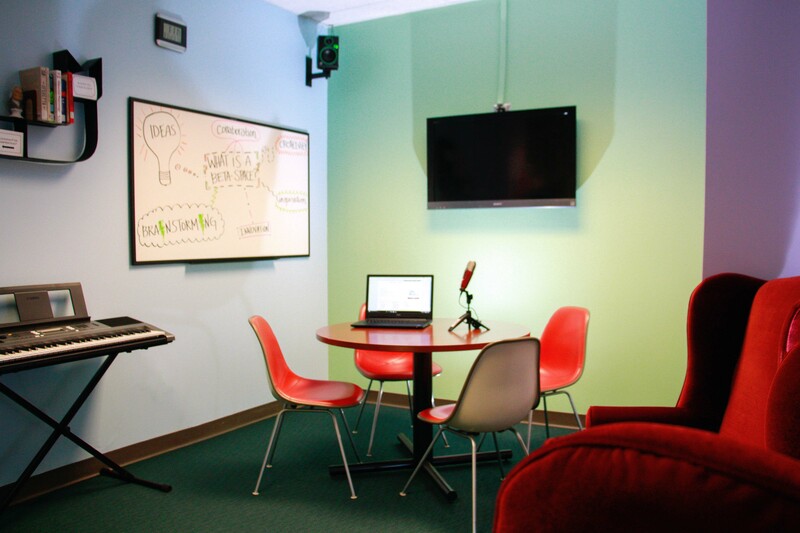 Groups of 2-8 students may use the room for up to 2 hours. If you would like to make a reservation, please visit our website here. For more pictures of the Beta Space Study Room, click here. Welcome to the Music Library blog!